There's so much to do here at The British Bird of Prey Centre & The National Botanic Garden of Wales, so that you don't miss anything we have made your tickets valid for a second visit free within 7 days! 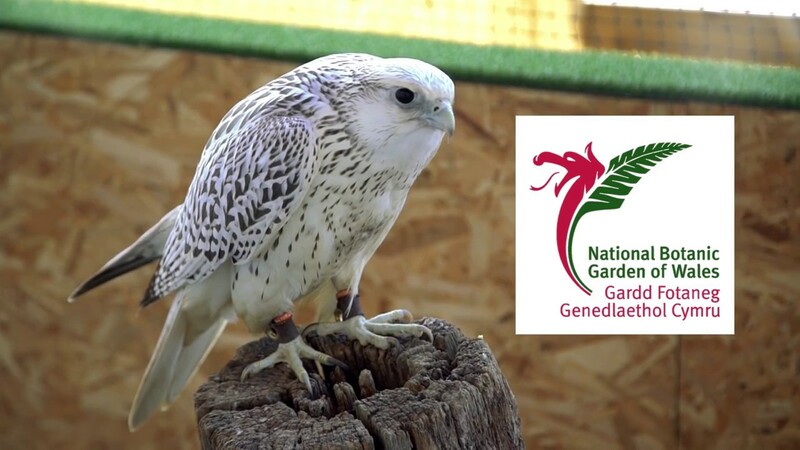 When you arrive at The National Botanic Garden of Wales your entrance to The British Bird of Prey Centre is included in the Garden Plus Ticket. This means you can enjoy a full day of activities for all of the family. Nestled up on the hill side amongst the trees, the newly built British Bird of Prey Centre aviaries are designed specifically to house our native species. You will be able to walk around and see the birds in their own homes as well as watch them show off their talents in our flying displays. Between displays there are lots of bird related things to do. You can catch a conservation talk by one of our falconers, who'll tell you all about the things you can do to help our native birds. Maybe you'd like to get up close with one of our owls? There is a chance to see them fly and learn a bit more about our nocturnal friends in our Owl Flying and Talk session. Your ticket means you can come and go all day, so you can find a nice picnic spot to have some lunch, maybe visit the Butterfly House or some of the other exciting things happening in the Garden and come back to the centre as many times as you like during the day. The British Bird of Prey Centre is located at number 12 behind the Springwoods. *Please be aware that displays are subject to change due to the weather and the character of the bird. We cannot make them do what they do not want to! In the winter months displays may not include all species and are normally slightly shorter. If you are coming specifically to see a bird fly please get in touch and we can give you the most up to date flying schedule. Whilst you are at the centre you will be able to visit all of the birds in their houses (aviaries). You are welcome to do this as many time as you like during your visit. All of our aviaries have been designed specifically for each individual species, so will all be slightly different. Most of our birds are captive bred and are therefore used to people. They would not survive if they had to go into the wild. We fly them all daily to give them a chance to be free, but they all like to come home and be warm and fed at the end of the day. This is how birds sleep. So only very relaxed birds will sit like this during the day. They tuck their foot up into their chest feathers and it keeps it nice and warm. Once one leg gets tired, then they swap over. Could you imagine sleeping standing up on one leg? If they are really, really relaxed they might even lay down! All of the birds here are used to people and they understand that people feed them. So if they start to make a noise whilst you are watching them, they are probably asking if you have a mouse in your pocket! Noise is a good sign, as a scared bird would hide and make no noise at all. We all know that taking a bath in public would be a bit scary and its no different for the birds. They like their privacy when they bathe, so if they have decided to have a bath whilst you are there then they must be feeling very comfortable. This is how a bird 'brushes its hair'. They put special oils on each feather with their beak, pulling it from the top to the bottom. This keeps the feathers in good condition and gives them a water resistance, which is very important here in Wales. It is very unlikely you will see a bird completely asleep during the day at the centre, but if you do see a bird without a head then there is no need to worry. Birds sleep with their heads tucked back under their wing. It gives the impression they have no head at all! We hold two different displays daily at the centre. These contain a mixture of hawks, owls, eagles, falcons, buzzards and kites. Combining education and fun you'll be amazed by our team's flying skills but also learn more about their personalities. Our aim is to try and get our birds to fly as they would in the wild. So we encourage them to use their natural skills to show you their very best techniques. So hopefully you'll see our kites eating on the wing, our kestrels hovering and our White-tailed eagle soaring above you. Working with animals means that every day is new, so you can come back time and time again and the show will always be different. Owls are some of natures most well adapted creatures. As well as being stunning to look at, they have developed lots of special skills to help them be at their best. During our owl flying session you'll get close to four of our native beauties. Learn about their camouflage, amazing listening skills and how their feathers are the envy of engineers and designers around the world. Using owl pellets we can even work out what they had for dinner! During your time visiting the centre, if you would like to get even closer to the birds, then we offer flying taster sessions. Bookable in our shop for £10, you can fly either an owl or a red kite for 30 minutes. These sessions take place on our flying ground and you will be given a glove and take it in turns to have the owl or kite fly to your gloved hand. Bring your camera, this is definitely a photo opportunity! Some of our British birds of prey have had a hard time recently. During these talks one of our team will take you through the projects that are taking place in the UK and what The British Bird of Prey Centre is doing to help. Learn about how the longest running conservation programme in the UK has brought Wales' National Bird of Prey, the Red Kite, back from the brink of extinction. Marvel at the size of Britain's largest Eagle, the White-tailed Sea Eagle, and understand how we can live in harmony with these beautiful creatures, to make sure we never again lose them as part of our native population like we did in the past. There are lots of opportunities to ask questions in these informal talks delivered daily. "A purpose built centre, very airy, spacious, bright and clean"
"Having a White-Tailed Sea Eagle with a 2m wingspan fly within touching distance of you is a unique 'wow' moment"
"The bird of prey centre was absolutely amazing, fantastic collection of birds and great staff"
The Stable Block houses our Seasons Restaurant, Gift Shop, Oriel Yr Ardd Gallery, Reception area and offices. A lovely place to eat, drink and buy some wonderful plants for your garden. This highly imaginative adventure zone is a place for children to jump, crawl, tumble, slide and swing. This spectacular dome is the largest single-span great glasshouse in the world. Tucked into a corner of our Stable Block is our Oriel yr Ardd Gallery.